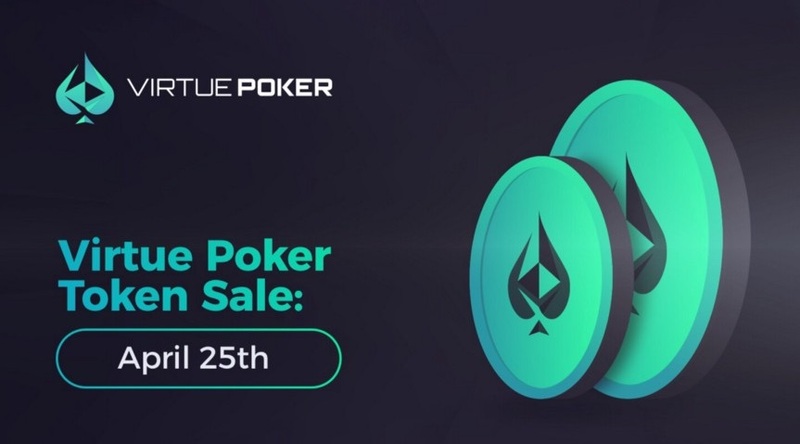 Last week, Virtue Poker, one of the most promising Ethereum gambling platforms for poker, announced the launch of their token sale on April 25th. Right around that time, Virtue Poker will also launch their alpha version of the platform. This poker site will use Ethereum smart contracts to offer their players the safest and most reliable gambling experience possible. The smart contract system enables instant transactions, 100% fair gameplay, and most importantly, decentralized gambling. The best part about Virtue Poker is its decentralized nature. While playing on regular online poker sites, to store your funds and process transactions a casino will use third-party software. However, with Ethereum-based gambling platforms, this is not the case. Virtue Poker will completely run on smart contracts, so player funds will never even touch any third-party software. As we said before, the toke sale starts on April 25th, and only US citizens won’t be able to take part in it. Virtue Poker plans to launch their alpha version right after the sale closes. The alpha stage will be available to everyone that bought tokens. During this stage, Virtue Poker plans to gather feedback from the players and evolve their platform to its fullest potential. Just an FYI, during these testing stages, players won’t play with real money. Instead, Virtue Poker will issue test-tokens to all players. However, real prizes will be available for players. Finally, according to Virtue Poker’s schedule, the platform will launch in Q4 2018.